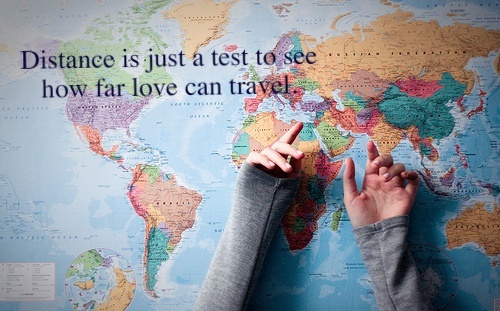 According to statistical data, among married couples in the United States, 2.9% have a long distance relationship. The reasons are multiple and with time, the general hypothesis too, is predictable: the myth that such relationships are bound to survive less than others. But is it always true? Can’t long distance marriages work in their own way? This article attempts to find means to help estranged wives find suitable ways to mitigate the distance with their soul mates so that the separation can be endured with patience. Bridge the emotional distance through daily communication: One of the first drawbacks of a long distance marriage is surely the unavoidable reality of an emotional rift that, like a slow poison, paralyzes the sacred relation, finally rendering it meaningless. With no caring shoulder to sob one’s heart out in times of a crisis, often emotional dependence starts waning. Religiously cultivate the habit of communicating daily. No matter how busy you are, always find time to share those little secrets, those apparently silly stories that you would have undoubtedly voiced, had he been physically present. Let not distance be a spoilsport in the realization of your sentimental pursuits. Make the sacrifice of living apart worthwhile: Generally, couples are compelled to stay apart to find better means of livelihood. After all, with the ever increasing demands of modern materialistic life, all are registered participants of an infinite rat race destined to find a secured future and fulfilling lifestyle. Hence, judiciously invest the financial gain incurred on account of your husband’s distant job, in a way that the resultant detachment seem worthwhile and the pain of absence is borne on the assurance of achieving a long-term goal. Be technology savvy: It is absolutely imperative for wives, handling the stress of a distant relationship, to be familiar with online communication tools as Skype, email, and texting. In this digital age, the easiest way to remain in touch is to fully exercise the benefits of modern technology. So be a pro and blot out distance by engaging in infinite chats. Sportingly overcome the depression of distance in pregnancy: The event of having a child is a coveted phase of a woman’s life. The varied emotions she experiences are digested smoothly only by the understanding response of a loving husband. But if one’s spouse is a soldier, stationed in some remote post, from where the return is troublesome? Prudently plan your activities henceforth, knowing that you can hardly alter the situation. Have an efficient maid to help you in times of need, read all that you need to know about the probable consequences of your condition and lastly wipe out all resentment. Help children learn how to accept the gap with ease: Kids seem to feel alienated a thousand times more than grown-ups when they encounter the forceful and prolonged absence of one parent in a long distant marriage. Hence, if a profession or any other obligation forms the irreversible cause, disclose the fact much beforehand, such that he comes to term with it. Afterwards, consciously try to make your child remain connected with his father through random calls and chats. Simultaneously, make the most of the limited spans that your husband can manage, by arranging family trips, lovely dinners, etc. Seek counseling: If it seems that isolation is growing on you and your relation is falling apart, then without wasting time, get advice from a counselor. Living far away from each other entails a major decision and involves a host of responsibilities, both of which have enough potential to wreak havoc in an otherwise placid marriage. So take proper action before it’s too late. Many times, life makes us accept situations, disregarding our wishes. But that does not imply that we become despondent and gloomy. A long distance marriage resembles a similar pressing reality that no doubt subjects us to a host of dreary situations, hitherto never experienced before. But, it is through the journey and involvement that a wife becomes independent and strong. So treat the obstacles posed by distance as an adventure and relish life as never before.